We continue our patch day coverage with a discussion about the new Exotics in the database! While we can’t say for certain if everything we unearthed will be in the game exactly as is, it’s very likely that many, if not all of these weapons and armor will be available in some way during the expansion. We’re going to give a brief preview of what we’re going to see, and how we think it will stack up. The Taken King has surprises in store for us, though, so don’t treat our analysis as gospel; just join us in a daydream for what’s to come! FYI: Sleeper Simulant is hidden from us (as are others), but we gave our thoughts about that weapon here. Dead Eye: Bonus to range, stability, and movement speed when aiming down sights. Triple Tap: Rapidly landing precision hits will return one round to the magazine. The First Curse: Precision kills while aiming down sights grant increased range and stability until the next reload. This Exotic Hand Cannon is a High-Impact/Low-RoF variant, that comes standard with 8 rounds in the chamber. Aside from Triple Tap, both of its Exotic perks are centered around ADS, and reward a steady hand and a sure shot. The first offers a general boost to movement speed (likely akin to Single Point Sling), range, and stability, when aiming down sights. The second rewards a single precision kill with additional range and stability until the next reload. If it’s not on a timer, this means that one precision kill will grant you maximum benefit until you reload. This is probably not worth an Exotic slot. Ultimately, the only real draw with this weapon is the bonus range; the RoF here is far too slow to be able to take advantage of the extra stability. The movement speed is fine, but really not a great incentive. Triple Tap can add an extra three shots in a magazine, but otherwise you’re left with a weapon that consumes an Exotic slot, and simply offers a TBD amount of extra range for your trouble. You’ll also need to select Speed Reload to overcome its abysmal base value. Grenadier: Kills with this weapon reduce the cooldown of your grenade. Eye of the Storm: This weapon becomes more accurate as your health gets lower. Overflow: This weapon has better handling, rate of fire and stability while the wielder’s Super is charged. It comes standard with the innate perk Grenadier, which we know to be useful in most PvE scenarios. A new perk, “Eye of the Storm”, grants additional accuracy as your health gets lower. Finally, its Exotic perk “Overflow” improves handling, stability, and fire rate when your Super is fully charged. Well, now we’re getting somewhere. Grenadier is a good start to any solid PvE weapon, but the weapon immediately loses some worth for the extremely odd Eye of the Storm. Accuracy with Scout Rifles is almost never an issue, and if you’re being injured to the extent in which your health is dangerously close to zero, you should be running, not fighting. In PvP, it could act as a strange, makeshift Unflinching, but is pretty much the definition of “niche.” Thankfully, Overflow offers a very Exotic perk: increased DPS. That’s right, if your Super is full, the Scout will fire more quickly, with an increase in stability and handling to compensate. This would synergize excellently with the Sunbreaker’s “Simmering Flames”, and even more so if he puts on an Empyrean Bellicose. Zhalo Supercell: Arc projectiles have the chance to chain lightning when enemies are close together. Persistence: This weapon grows more accurate the longer it is fired. Bolts from the Blue: Double kills with this weapon charge a small amount of Super energy and return ammo to the magazine. Its innate perk, Zhalo Supercell, is very similar to that of Thunderlord’s, having the chance to chain electricity between adjacent enemies. Beyond that, it sports Persistence for increased accuracy, and its new Exotic perk “Bolts From the Blue”. This perk grants Super energy after a double kill, and also partially refills the magazine. Okay, now this is an Exotic. Zhalo Supercell instantly adds some appealing crowd control elements, excellent for trash disposal. Persistence is of some benefit, though the jury’s still out on whether it’s equally effective on all weapons. The real appeal here is Bolts From the Blue, which grants the Supercell a Field Scout-esque utility on top of Bad Juju-esque Super synergy. We also saw in the test footage that the Zhalo is an Arc weapon, so this Exotic gets full marks from us. Actually, since it used to be called the much-cooler Ukonvasara, maybe knock a few points off for that. Perfectionist: Magazine is refunded if all shots fired are precision kills. The first Exotic Sniper of The Taken King, Hereafter’s built-in ability grants a combination of both Take a Knee and Unflinching. A new perk, Perfectionist, offers a version of White Nail that refunds a magazine’s ammunition if each shot is a precision kill. The final perk, Blinding Light, has a chance to remotely detonate a flashbang effect upon a precision kill. Hereafter is stylish, but has a few drawbacks. With only 4 shots in the mag, it can’t put out much DPS considering its Impact/RoF class. Of course, Bungie seems determined for all Snipers to end up like this, so I suppose it’s among friends. Perfectionist is a great idea, but in practice you’ll typically use a Sniper for targets that require more than one hit to kill. It would be ideal for dispatching mid-tier Knights, who warrant a Special Weapon, but aren’t bulky enough to withstand multiple shots. Its positives include a staggering base Aim Assist of 75, its innate perk, and Blinding Light – which is a really neat idea for a perk. For whatever reason, Bungie made this perk only have “a chance” though, so as we all know by now it could be uselessly low or perfectly fine. If it’s high, Perfectionist will synergize nicely with it. We lop the Swords into one category, but we’ll cover all three. They all seem to possess the same base stats, with a healthy amount of Impact, Energy, and Efficiency, but less Range and Defense. Each contains an elemental parry that reduces damage from the other two elements very effectively. All three have a chance to roll Scabbard, which increases their available ammunition, and each have their own special move. Raze-Lighter’s is Phoenix Uppercut: a strong, rising slash; Dark Drinker’s is Supermassive Vortex, a damaging Void AoE; and Bolt-Caster’s is Sword of Thunder, which fires a bolt of Lightning that leaves a lingering AoE field. Of all the weapons in The Taken King, swords are perhaps the most exciting. They’re poised to do unrivaled single target damage, and you’re going to look so cool doing it. We love that Bungie has went all in with their design and perks, giving them appealing, very MMO-flavored abilities and styles. We’re itching to try any of them out to confirm how the stats work, but they’ve got loads of potential either way. The Fate of All Fools: Chain body shots to gain bonus damage on your next precision shot and return ammo to the mag. Spray and Play: Increases the reload speed of this weapon when its mag is empty. This peculiar Scout Rifle comes with a hilariously low 7 in the mag, that is designed to be offset by its innate talent, “The Fate of All Fools.” This perk allows you to do massive precision damage following consecutive body shots. Aside from that, Spray & Play and Zen Moment round off a fairly standard perk profile. It doesn’t exactly feel Exotic at this moment. We still have no word on the damage multiplier from Fate of All Fools, and it goes without saying that if it isn’t large enough, there’s no point not simply aiming for headshots in the first place. Spray & Play plays nicely with the low magazine count, which can be further ameliorated with Extended Mag and timely Fate of All Fools procs. Zen Moment is a solid, if unremarkable, addition to keep it on target. Or Another: Bonus Armor on non-precision kills. Stacks up to three times. So that’s where the 347 Vesta Dynasty got to. This re-purposed Scout has no innate ability, just Kinetic damage. Its first perk is Unflinching, and has a pretty garden-variety mix in the middle column as well. The final slot allows a choice between two options: One Way, or Another. (I’m gonna find ya, I’m gonna get ya get ya get ya get ya…) The first improves Agility up to three times for precision kills, and the latter Armor for body kills. For being pushed back for so long, this sure is underwhelming. Kinetic damage is an immediate turn off for an Exotic, and Unflinching is similarly disappointing. The only real interesting facet is the choice between the two Exotic Perks. In reality though, you’ll almost always opt for One Way. You should never be aiming for the body, just to get a fleeting armor bonus. The quicker you kill your enemies, the better. So, what we’ve really got is an average Kinetic Scout Rifle that can buff your Agility up to three times. Ho-hum. The Chaperone: This weapon fires a single precision slug. Grants Agility boost. The Roadborn: Precision kills briefly grant bonus handling, range and precision damage with this weapon. The Survivor: Three rapid precision kills while Born on the Road is active will return two rounds to the chamber. It innately boosts your accuracy, and only fires a single Shotgun slug instead of buckshot. The Chaperone then possesses two new perks, Roadborn (or “Born on the Road”), and The Survivor. The first can be proc’d by scoring a precision kill, and boosts precision damage, handling, and range for your trouble. The second will restore two rounds to the chamber, providing you can get three precision kills in a row while Roadborn is active. For every Boolean Gemini dud, there’s something interesting like the Chaperone. This is the first Shotgun of its kind, and seems like it’ll be a whole lot of fun – and potentially very good! Having seen footage, it’s safe to say you’ll be aiming for precision hits in the Crucible, and possibly taking advantage of Roadborn following one. To get the benefits of The Survivor, you’ll likely be in PvE. Unfortunately, its requirements are a little prohibitive, demanding four precision kills total, three within a window of Roadborn’s buff. All in all, The Chaperone is exquisitely designed and could be a very real threat. Unplanned Reprieve: Fusion projectiles attach and detonate with a delayed Void blast. Battle Runner: Kills with this weapon grant a brief boost to the sprint’s top speed. Harbringer’s Spark: Multikills with this weapon spawn Orbs for your allies. Unplanned Reprieve gives Telesto its Exotic flavor, as the FR fires Void projectiles that attach to a target and then detonate for a strong AoE blast. Battle Runner will give a big movement speed increase when you kill anything with it, and Harbinger’s Spark incentivizes multi-kills with orb-spawning potential. Well, we just have to try it! What sounds cooler than the Needler come to Destiny? It remain to be seen if the unique effect is a positive when it comes to outright damage and other important factors, but there’s no doubt this baby will be a lot of fun. If the detonations from the projectiles are big enough, Harbinger’s Spark could really be a game-changer for fireteams focused on their Supers. In the middle column, we’re thinking Enhanced Battery will be the way to go. Life Support: Kills with this weapon while critically wounded have a chance to start regenerating health. Front Lines: This weapon has increased handling, stability and rate of fire when enemies are close. 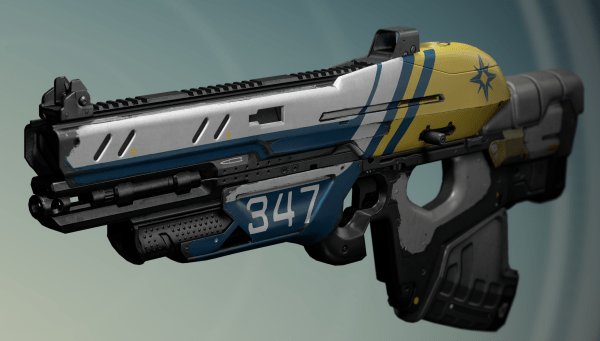 The second new Exotic Auto Rifle, Fabian Strategy is equipped with an innate Crowd Control. It also revives the classic perk Life Support – but it’s been changed to regenerate health. Finally, Front Lines offers a Tlaloc-esque boost to handling, stability, and rate of fire when enemies are in close proximity. 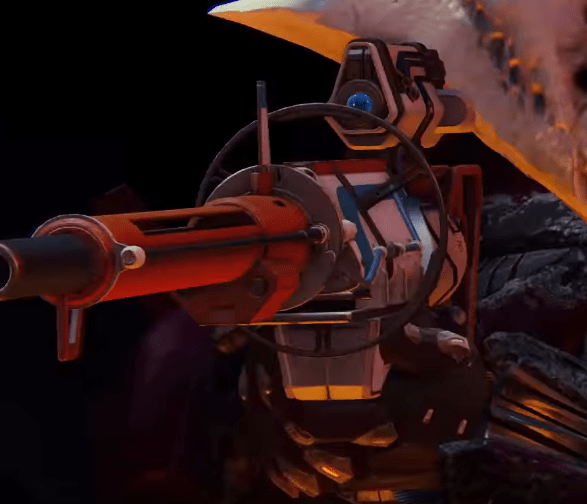 Embodying Bungie’s recent philosophy of the role of Auto Rifles, Fabian Strategy looks like it’ll be a strong – if a little dull – option for a shock trooper-style build. Crowd Control and Front Lines will maximize DPS, providing you’re willing to get up close and personal for your trouble. Bungie seems to be focused on giving Exotics the edge in stat procs, but it’s hard to know at this juncture if that really will justify their use over Legendaries that don’t lock down a slot. Third Eye: Radar stays active while aiming down this weapon’s sights. Firefly: Precision kills with this weapon cause the target to explode. Maverick: Precision kills move one round from your ammo reserves into the magazine. With constant Third Eye, you’ll always know where your enemies are. Firefly seems to have been reinstated as a potential perk now available on Hand Cannons, so our dreams of making a crude Frankenstein’s Monster version of Fatebringer aren’t fully hopeless. Ace of Spades is also rocking Maverick, which moves a round from your reserves into your magazine for every potential hit. It’s good to see that The First Curse isn’t the only Exotic Hand Cannon we’re getting. Ace of Spades definitely has that real Exotic feel, with the powerful Firefly as a crowd-clearing option, and an Exotic perk that can create a magazine that is effectively as big as your reserve ammunition. This will have unbelievable potential in PvE. Third Eye will ensure you’ll always have a target in mind to keep firing, and firing, and firing. This is a worthy competitor for the Zhalo Supercell. That’s about it for the new Exotic Weapons! We’d love to hear what you’re most excited about in the comments. Keep an eye out for Exotic Armor sometime in the next day, where we’ll give our preliminary review on the newest items you’ll want to add to your wardrobe. In the meantime, if you just can’t wait, check out our news about the new items in the database and decide for yourself!